Elizabeth contacted me about doing a motherhood session in January - she explained that she was coming back to her home town from California and wanted photos with her new baby in her childhood home before her parent's move out of the house later this year. I always love photographing "older" babies and sweet Theo was a perfectly chunky three months. We had so much and realized that we actually went to the same high school, one year apart, and had a lot of mutual friends...but didn't know each other! 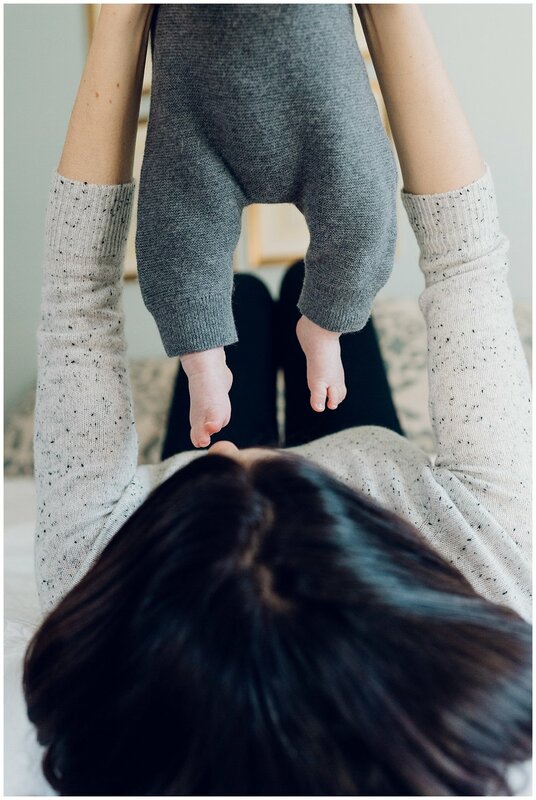 Such a small world, and I'm just so happy that this job let's me connect with so many moms and get to know their stories...one thing I can say about Elizabeth is that these images are such a perfect reflection of her absolute joy & love for her sweet son. Enjoy!